Second-growth Margaux property Durfort-Vivens is to employ biodynamic farming methods across its entire estate next year. Speaking to the drinks business yesterday, Gonzague Lurton, owner of the château, said that he first started the controversial viticultural technique in 2009 on just 20% of the vineyard area “because I wanted to learn”. He increased the proportion of biodynamically farmed vines to 40% the following year and for this vintage, he said two thirds of Durfort-Vivens was treated using the system of agriculture, which is based on eight lectures given by philosopher and general esotericist Rudolf Steiner in 1924. Following successful results at the château, Gonzague told db that next year, Durfort-Vivens would be 100% biodynamic, and would also apply for certification. As this is a three year process, Durfort-Vivens could officially claim biodynamic status by 2016, although Gonzague said he was not converting for marketing benefits. Currently, only three classified growths in Bordeaux are entirely biodynamic (although the organisation Biodyvin includes around 20 Bordeaux estates according to Gonzague). Biodynamic classed growth châteaux include Pontet-Canet in Pauillac, Fonroque in Saint-Emilion and Climens in Barsac, Sauternes. The latter, owned by Gonzague’s sister Bérénice Lurton-Thomas, began biodynamics at the same time as Durfort-Vivens, but, bravely, Berenice employed the technique to her entire estate from the outset. Also, while Berenice drew on the expertise of Jean-Michel and Corinne Comme, viticulturalists for Pontet-Canet, Gonzague employed the help of Alain Moueix from Château Fonroque. Having invested in winemaking improvements at Durfort-Vivens since 2006 -– such as the installation of wooden and concrete fermentation vats – Gonzague said his focus had shifted to fine-tuning approaches in the vineyard, and this had led him to attempt biodynamics. In particular, he was impressed by the taste profile of wines produced from biodynamic estates he had tried over recent years at Biodyvin events – a French organization for biodynamic wine estates. “I loved the texture of the wines… there is a lovely density in the middle of the palate in all the [biodynamic] wines, and I wanted that in my wines,” he said. Switching to biodynamics, which forbids the use of oil-derived fertilisers and agrochemicals to control pests and diseases and the use of “special preparations”, will increase the cost of Durfort-Vivens’ vineyard practices by around 5% according to Gonzague. The approach will require viticulturists to be much more attentive to changes in the vineyards, and therefore “much more effective”, believes Gonzague. “They have to be there everyday,” he said. As for results so far, Gonzague has witnessed “thicker and brighter leaves” in vines treated biodynamically. He also said that blind tastings of wines from different parcels at Durfort-Vivens had repeatedly seen those from biodynamic vines declared better. 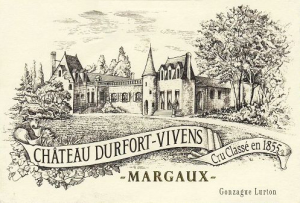 Durfort-Vivens previously practiced a form of sustainable farming called viticulture intégrée, while the property continues to use renowned Bordeaux winemaking consultant Eric Boissenot. Interestingly, despite investments in improved cellar-practices and viticultural techniques, Gonzague admitted with some frustration that he had yet to receive recognition from the critics. 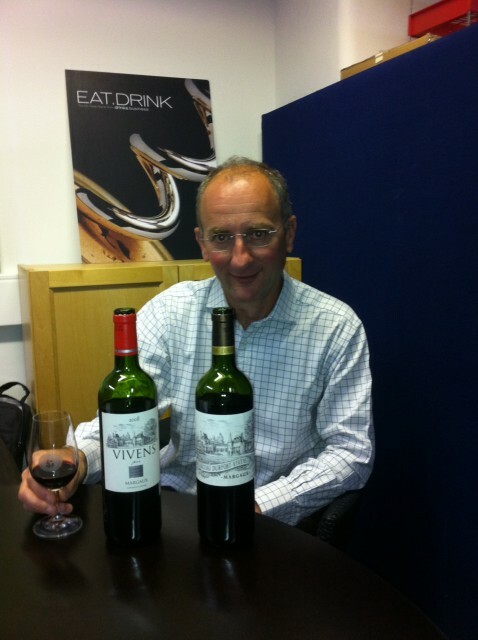 Gonzague Lurton presented the 2007 Dufort-Vivens at the db offices. “2007 is one of my favourites because we did a good job and although we don’t have the power, we have the balance,” he said. “Parker has never visited the estate,” he said, and speaking of an influential US publication, he suggested that they wouldn’t change their mind because tastings weren’t performed blind. “It’s a question of method,” he stated. Speaking more generally about the Margaux appellation, Gonzague stressed the improved quality of wines from the area. “For the last 4-5 years now, Margaux, which has 65 different producers and 21 classified growths, has a very good and homogenous quality – which wasn’t the case before. “So now I say Margaux is the best, but I’m not sure I’m very objective,” he joked. Turning his attention to the current vintage, he said that late-September rains required producers to pick grapes that weren’t perfectly mature, and as a result, Gonzague said Durfort-Vivens had practiced a very gentle extraction. Interestingly, he said alcohol levels were significantly lower despite “good” sugar levels. Hence, he said the ABV of Durfort-Vivens in 2012 was 12.5%, compared to a peak of 14.2% in 2010. Durfort-Vivens winemaking consultant Boissenot had told Gonzague this was common throughout the region in 2012. Gonzague was unwilling to state a possible release price for Durfort-Vivens 2012, but noted that the first wines from the estate sold en primeur for €22 in 2009, €26 in 2010 and €20 in 2011. Durfort-Vivens has a second wine, called Vivens (formerly Segond de Durfort) and a specially-created label for the Chinese market, called Jardin de Durfort, with a gold label.